Mr. Fox solicited a ride to the scene of the crime from a complete stranger who had no knowledge of his intentions. Upon his arrival at CVS, Mr. Fox attempted to disguise himself by covering his face with Calamine lotion. He entered the pharmacy and presented a note to store personnel, claiming he had a gun and demanding prescription medication. 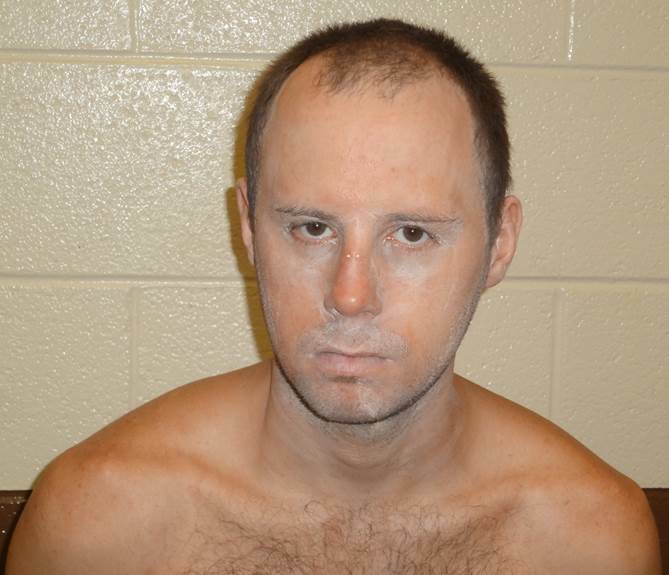 He soon fled the scene empty handed and ran across West Stone Drive to the parking lot of Holston Medical Group. Mr. Fox then entered a taxi that he had summoned prior to the robbery. Officers detained Mr. Fox as the taxi was leaving the parking lot. The taxi driver had no knowledge of the robbery that had just occurred. Just prior to the robbery, Mr. Fox also called Kingsport Central Dispatch and made a bomb threat, specifying the Kingsport Town Center, located at 2101 Fort Henry Drive, as the target. This threat later proved to be unfounded; however, at the time of his arrest, Mr. Fox was found to be in possession of the cell phone whence the call originated. Mr. Fox was arrested and charged with Aggravated Robbery and False Reporting by Making a Bomb Threat. He remains confined in the Kingsport City Jail awaiting arraignment. Mr. Fox was one of four suspects charged in a May 2015 robbery of the same pharmacy. At the time of today’s incident he was out on bond awaiting his trial date on the earlier incident.